Take some time to "go deep" on a course you are designing! How can you design learning experiences that make it much more likely that students will understand content and be able to apply it in meaningful ways? Join us for our annual Course Design Institute now in its third year, to transform or (re)design your course with a student-centered focus. Previous facilitators include Dee Fink, Deandra Little, and Michael Palmer. This year, accomplished author Jay McTighe will be leading this three-day institute that will help you expand your abilities as a curriculum creator to support a variety of learners. With presentations, small group activities, and discussions, this institute will help you establish curriculum priorities and determine which content is worthy of deep understanding. The workshop will feature a balance of presentations, small group activities, discussion, and dedicated work time for (re)designing your course. 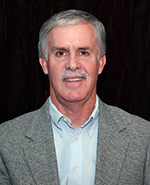 Jay McTighe is an accomplished author, has co-authored 17 books, including the award-winning and best-selling Understanding by Design series with Grant Wiggins. His books have been translated into fourteen languages. Jay has also written more than 36 articles and book chapters, and been published in leading journals, including Educational Leadership (ASCD) and Education Week. Jay has an extensive background in professional development and is a regular speaker at national and international conferences and workshops. He has made presentations in 47 states, 7 Canadian provinces, and internationally in 38 countries across six continents. The Institute will take place in the Belknap Academic Building (BAB). What will be the key “take aways” for me as an institute attendee? The course Design Institute welcomes all UofL faculty members, including tenured, tenure-track, full- and part-time. Graduate students are also welcome to register. We ask that you be available and willing to attend all three full days of the Institute. If you have a recurring teaching or meeting conflict during the institute time, we invite you to consider participating in a future offering of this program so that those who are able to attend the full institute are able to do so.